IFTTT (short for ‘If This, Then That’) connects different internet connected services and enables them to work together. As the name implies, one action triggers another. For example, you can set your phone’s wi-fi to switch off automatically when you leave home, and vice versa. You could also use IFTTT to automatically switch on your Hue or wemo lights when its raining outside . Now you can automate all the small tasks in your life simply by using IFTTT, and it is absolutely free! 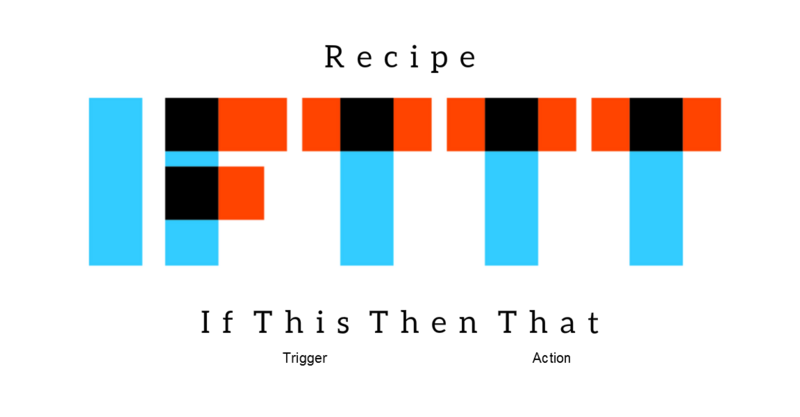 IFTTT works through interaction between ‘services’ (apps and devices that we use every day) by utilizing trigger-action combinations called ‘applets’ (previously called Recipes). You can select from thousands of available applets, with new ones being added every day. You can also make your own applet to suit your needs using IFTTT’s applet maker. What all can IFTTT do? IFTTT lets you automate your favourite apps, websites, smart devices and other app enabled accessories . 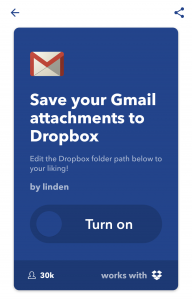 For example, using IFTTT you could automatically save new Gmail attachments to Dropbox, saving the bother of doing it manually. Or you could keep a daily log of Fitbit activities and track it on a Google spreadsheet. One applet that I find really useful helps me save precious battery life by automatically switching off my phone’s Bluetooth when I disconnect a Bluetooth device or when the battery is low. Using IFTTT you could set your smart lights to switch on when you arrive home, or switch off when you go to sleep at night . You could set your Philips Hue lights to match the colors of the album cover of your last listened track, or have your WeMo bulbs notify you when someone mentions you on twitter, IFTTT has made it possible. 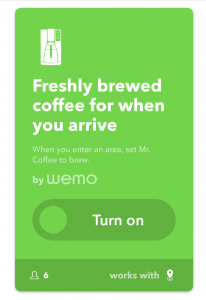 If you own a wemo Smart Coffee Maker, you can have freshly brewed coffee when you wake up in the morning or when you arrive home. One applet even lets your Fitbit tell your coffee maker to start brewing when it registers you are awake. Pretty convenient, right? Combine IFTTT with Amazon Echo (and other smart home devices) to make the experience even more rewarding. You can email yourself your to-do list or shopping list by asking Alexa “what’s on my to-do list (or shopping list)?” Or you could tell Alexa to put your Philps Hue lights on a color loop, or change color each time Alexa plays a new song. IFTTT can also make multiple smart home devices perform together. For example, you can tell Alexa to lock up at night by saying “trigger lock down” (or your own custom phrase)j. Alexa will turn off your Hue lights, make sure Garageio locks the garage door and mute your android phone. IFTTT can be accessed through its mobile app or website. You can visit the website at ifttt.com or download the app from Google Play or App Store. Sign up simply by providing your email address, set up a password, and you’re ready to go. Log on to discover what all IFTTT has to offer. You can search for a particular applet or simply browse through the available ones. Once you find an applet that you like, you can add it to your list of applets and try it out. If you don’t find what you’re looking for in the list of applets available (which is very unlikely, given the large number of applets available), you can easily create your own applet to suit your needs. 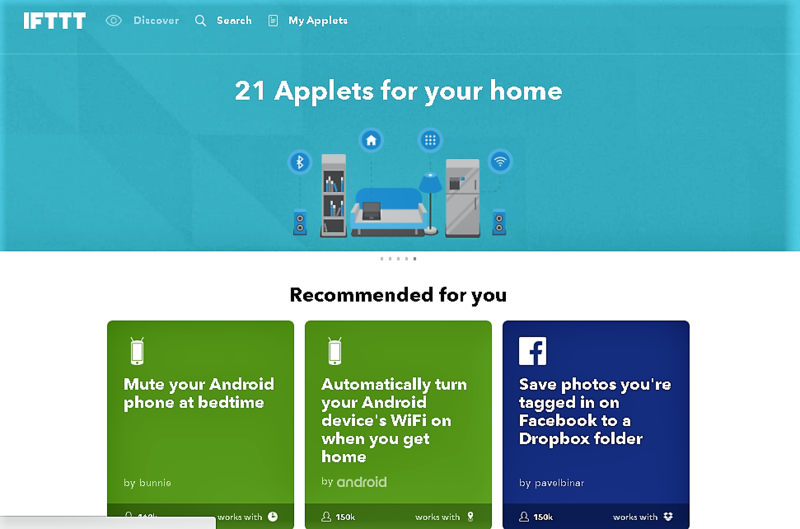 IFTTT’s My Applets feature lets you create customized applets. Go ahead and download an applet right now and start IFTTTing. Another step towards making our lives simpler, smarter.